This switch was designed specifically to meet C.D.R.H. 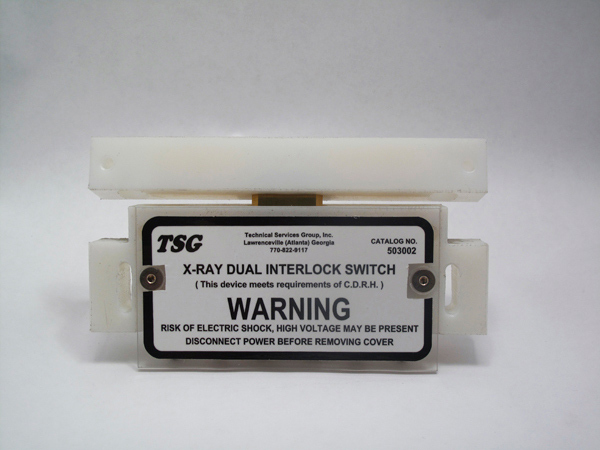 requirements for dual-safety interlock devices. 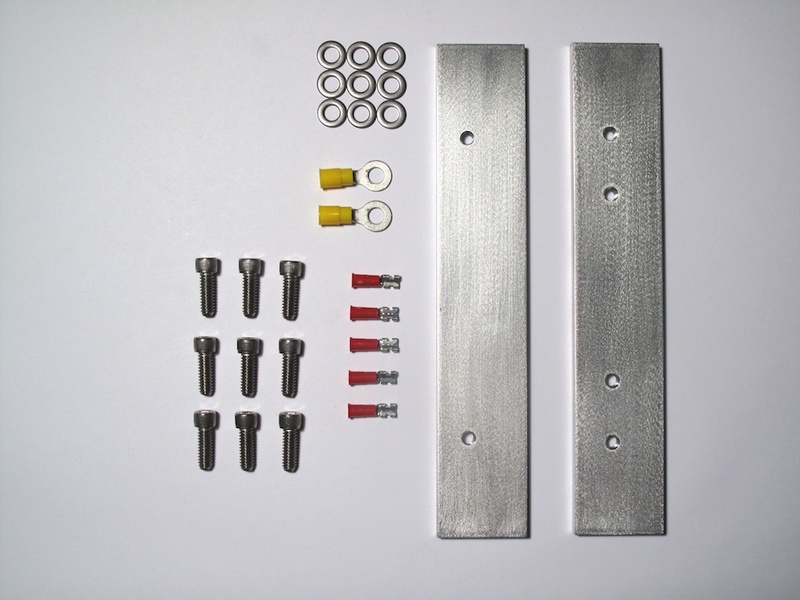 The switch assembly incorporates a solid steel plunger with high-current capacity spring-tensioned copper contacts which can be used to comply with the U.S. federal requirement for "physical disconnection of the energy supply circuit" for X-Ray safety interlocks. 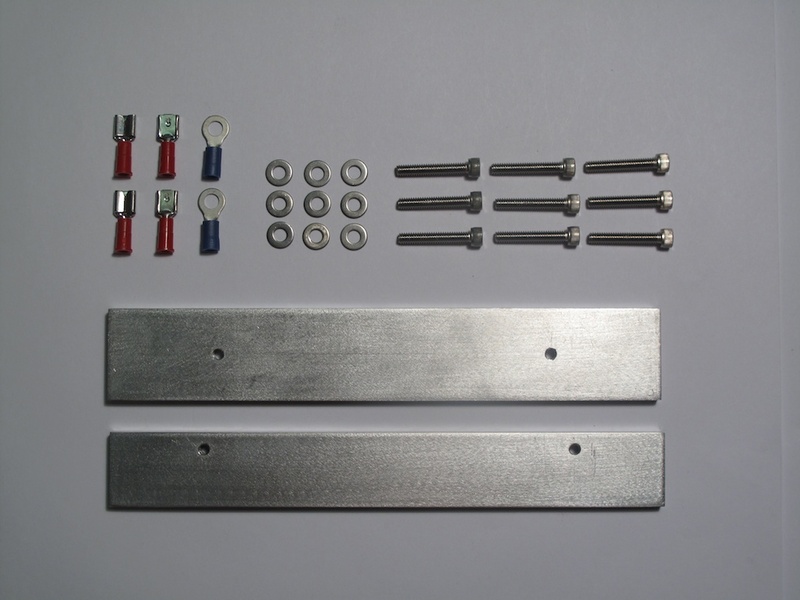 It can be mounted to an X-Ray cabinet and door to provide the required disconnection independent of any moving parts other than the door itself. The combination of the high-current plunger contact and the built-in miniature micro-switches meet the "dual interlock" requirement in one convenient package. Electrical connections are made to the "primary contacts" via ring type terminals and #10-32 machine screws. The micro switch connections are made using quick connect terminals. DIMENSIONS & WEIGHT: 6.25" Wide x 5.0" High x 1.25" Deep, approx. 1 lbs. FINISH: Machined nylon with clear plexi-glass access covers. ELECTRICAL: Micro-switches: 11 amp. 250 vac; Primary contact: 35 amp. 250 vac. 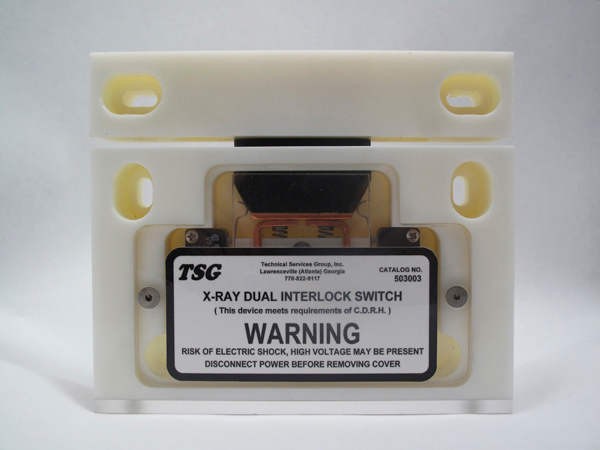 TSG also offers a smaller variant of the CDRH switch for less physically and electrically demanding environments that still offers the convenient form factor and dependable safety features of its larger cousin. MAIN BLOCK: 5.5" Wide x 1.75" Tall x .75" Deep. CONTACTING BLOCK: 5.5" Wide x .75" Tall x .75" Deep. ELECTRICAL: Micro-switches: 5 amp. 120 vac; Primary contact: 10 amp. 120 vac.